Permission slips are like seat belts. They’re simple to use, and they’re for your own protection in case of emergency. You use a new permission slip for each unit trip, expedition or activity. There are times when they’re recommended, especially when your chartered organization does not have something like it already in place, and times when they’re required, such as on basic or advanced orientation flights. I have a question on permission slips. Our troop has a Scout fill out a permission slip for every event. However, I know that some troops have “annual” permission slips, and still others use the medical Part A as a permission slip. I also know that sometimes permission slips are required for certain activities, such as orientation flights. What’s the right answer? Do we need permission slips for every activity, can we use an annual permission slip, or does the medical Part A suffice? Do adults need a permission slip as well? I can’t seem to find the answer written anywhere. Where can I go for an answer? While we understand that time is precious for leaders and parents, we do not recommend annual permission slips. The consent/release statement on the Annual Health and Medical Record, found on Part A, does not serve that purpose, either. The Activity Consent Form (PDF) is designed for each activity or outing and what we recommend if your chartered organization does not have something already in place. This form is recommended for unit use to obtain approval and consent for Tiger Cubs, Cub Scouts, Webelos Scouts, Boy Scouts, Varsity Scouts, Venturers, and guests (if applicable) under 21 years of age to participate in a den, pack, team, troop, or crew trip, expedition, or activity. This form is required for use with flying plans and should be attached to the flying plan application. It is recommended that parents keep a copy of the form and contact the tour leader in the event of any questions or in case emergency contact is needed. Additional copies of this form, along with the Guide to Safe Scouting, are available for download here. Of course, our goal in all of this is to make sure that parents are aware of the kind of activities their youth will be participating in. So thank you. One final reminder: The parent or legal guardian should fill out this activity permission slip, not the Scouts. Well maybe two final thoughts … some states have very specific requirements for certain programs, examples would include whitewater rafting or shooting sports. In these cases, using something to facilitate the program should suffice. Thanks to Richard for his insight. So, Steve, it looks like your troop has been doing it right by requiring a permission slip for each event. Keep up the great volunteer work, and thanks for all you do for Scouting! Find more Ask the Expert posts at this link, and ask your Scouting-related queries via email. I can’t answer every email, but I do read them all. 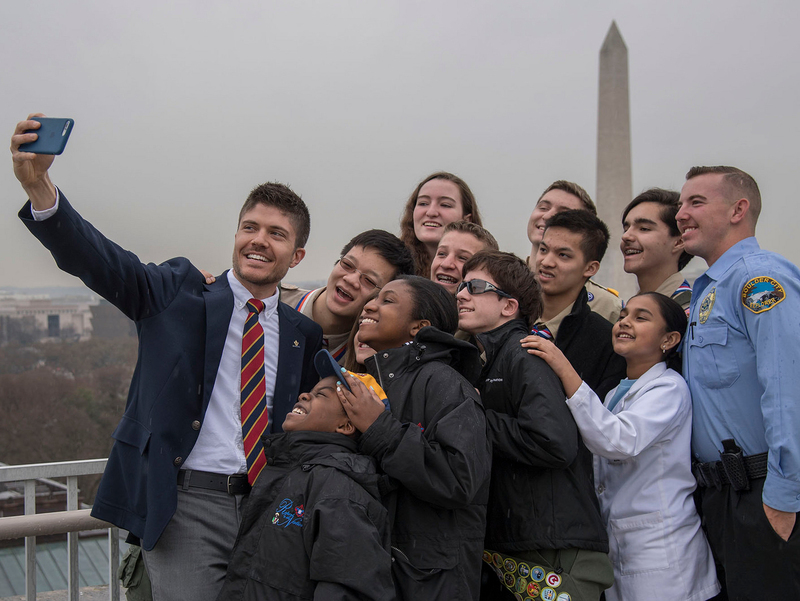 Smartphones in Scouting: A curse or a cure?